Turnkey real estate companies sell new or fully renovated properties that are seasoned with tenants and managed by a property management company. Investors purchase these properties for passive real estate income. We researched the most popular turnkey real estate companies and chose the 15 that best service real estate investors in different regions. 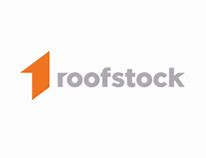 If you want to purchase a turnkey property from a reputable, nationwide company, check out Roofstock. They were created by investors for investors and they exclusively invest in single family homes that are already seasoned and generating cash flow. You’re not going to find many national turnkey real estate companies since most of them operate regionally. However, we found two companies that operate similar to turnkey companies and offer properties in most major markets. The others on our list are the top regional players in areas with high turnkey real estate volume. When comparing turnkey real estate companies, keep in mind that each turnkey company includes some of their costs in the price of the property. You may be paying 10%+ more for a property, but it’s renovated and comes with a tenant, both of which take time and money to do yourself. Property management fees generally vary from 10 – 20%. Remember also that many people use a turnkey property as part of a 1031 exchange. We recommend Roofstock and HomeUnion as the top two turnkey real estate companies for 2018. They’re both reputable companies with turnkey properties available in most major markets throughout the country. If they don’t satisfy what you’re looking for, check out the best regional companies we have listed here and see which ones offer properties in your area. To find out more about turnkey real estate, including what it is and how it works, check out our ultimate guide to turnkey properties. Our list below consists of 15 turnkey real estate companies. The first two companies aren’t technically turnkey companies but have similar offers and operate on a mostly national scale. However, the remaining 13 companies are specifically turnkey real estate companies and are the best in their respective regions. Roofstock isn’t technically a turnkey company but they offer similar services and have listings in most major markets. They don’t own the turnkey properties but strictly vet them based on property characteristics and income potential. In this way, they act as more like a middleman that offers seasoned units with pre-vetted management companies in place or on call. Since they’re a reputable company available in most major markets, we chose them as our number one recommendation for a turnkey real estate company. Property management fees vary depending on the property’s location and the company’s fees. The cap rate, occupancy rate and yearly return are listed beside each deal. They were started for investors by investors and hone in on the numbers of each deal so each property is cash flow positive from the first day you buy it. HomeUnion is another company that isn’t technically a turnkey real estate company but has similar services. They offer 1-4 unit homes and charge an acquisition fee for each property, as well as management fees, but you have to call to find out specifics since fees vary by property. They don’t own the properties they advertise but instead find good candidates on the Multiple Listing Service and via turnkey real estate companies. Before a property is listed on the site, it’s vetted by local professionals. One thing that sets HomeUnion apart is its Neighborhood Investment Rating (NIR) is a system, which evaluates a neighborhood based on a variety of economic, environmental, and demographic features. This model helps them decide if a neighborhood is a good investment. HomeUnion therefore selects properties using their compilation of data, market research and local area expertise, and the average ROI is 9%. Howard Hanna purchases properties in suburban, urban and rural areas. They offer in house financing, title companies and relocation services. They’re the fourth largest real estate company in the U.S. and they offer property management services, but you need to contact them for prices. Typically, one month’s rent is the charged to find a tenant, qualify them and put them in a property. If you’re looking for a property in one of the areas that they operate in, they’re a good choice for luxury properties, which they refer to as “distinction properties.” Since they’re such a large company, they have a division dedicated to finding and marketing luxury properties and have expertise in this niche of the market. American Real Estate Investments purchases and rehabs properties before renting and marketing them. They don’t charge brokerage fees or an initial lease up fee. However, they do charge monthly management fees, but you need to contact them to get fees and pricing for each individual property. They cater to more discerning investors in TX, IN, FL & MO because all of their properties are considered Class A, which means they are built within the last 20 years, have upgraded finishes and are located in lower crime neighborhoods. They only offer single family homes so they’re not right for investors who want to purchase condos or multifamily properties. Norada Real Estate Investments offer single family homes, condos and multi family properties in high growth areas. They work with a network of lenders and property managers. They don’t charge investors any fees and they don’t provide property management services. Instead, they act like a middleman and put you in contact with local property managers. The property management fees vary based on the area, but are generally 10 – 20%. They score each property with their own deal grader system based on the price, market rent and expected ROI; all of which vary per property. If you’re looking for a property in an area that they operate in, they offer units starting at $70,000. They also sell multifamily turnkey properties which some of the other companies don’t offer. Maverick Investor Group focuses on single family homes in metropolitan areas with strong job and population growth. They don’t charge any upfront fees to buyers, but the seller does pay them brokerage fees, which are built into the property’s sale price. Typically, they only work with investors with at least $50,000 as a down payment since their properties range from $80,000 to over $500,000. They don’t manage the properties themselves but have a network of well-vetted property managers that only rent to qualified tenants. If you’re looking for a property in an area that they operate in, they might be worth checking out since they offer discounts on property management if you purchase more than one property. They are also right for socially-conscious investors since they create jobs and donate 10% of company earnings to charities they believe in. USA Property Dealer is a turnkey real estate company that offers townhomes, condominiums and single family homes that are sold below market value and below the replacement cost, so they offer the potential for immediate equity in the property. They have in house property management and their fees vary, but start as low as $75/month. Their site has helpful cost breakdowns beside each property, including HOA fees, taxes and insurance. Their ROI is up to 15%. They only invest in a few markets so are experts in those areas and have great industry contacts there. If you’re looking for a property in FL, GA or OH and want a property as low as $59,999 they’re worth considering. Meridian Pacific Properties purchases single family homes in areas that are experiencing population and job growth but still offer affordable price points. They don’t charge anything to buyers upfront and you need to contact them to find out how much the fees are for a specific property and location. 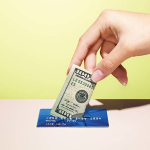 However, fees are generally 12 – 15% of the purchase price. Their average property prices are $225,000 but they do offer properties starting at $150,000. ROIs vary but are generally 8 – 9%. They focus on renovations that can be done in a short time frame, usually 3 weeks. Memphis Invest purchases single family homes that are in high growth, low crime areas.They renovate the homes with high end, lasting finishes and put well qualified tenants in each property, taking care of the property management. They have a network of lenders and in house attorneys or you can choose your own. They don’t charge any brokerage fees. Some unique things that they offer are reports on the property’s renovations, which average $26,000, and 24/7 online access for their clients. They also call each of the property owners once a month to check in on how the property is performing. NexGen Invest offers single family homes throughout Ohio. They offer in house property management services and tenant placement, and their property managers boast average occupancy rates of 98%. Property management fees vary; you have to contact them to get exact fees. They have a network of lenders and title agents. They also offer a 12-month rental guarantee. Turnkey Properties offer single family and multifamily properties with a wide range of price points. They have in house property management services and their fees are generally around 8%. 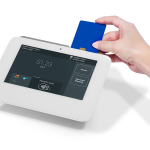 However, they offer specials where a few months of fees will be waived. ROI varies per deal and you need to contact them for specifics. They’re right for investors who want to invest in Little Rock or Memphis and appreciate the meticulous attention to detail the company provides on their renovations. Investors also receive savings from pre negotiated maintenance contracts. Their goal is that the renovations they chose will increase the investor’s cash flow. JWB Real Estate Capital invests in single family homes in Jacksonville since it’s a market that has a lot of tourists and is experiencing recent population and job growth. You do have to sign up and then schedule a call with a property specialist to view their properties, but there aren’t any upfront fees. Property prices vary, but are generally $150,000+ and you have to contact them to find out property-specific management fees and average ROI. Instead of browsing online, an investor will speak to a property specialist about their investment goals and will then get a list of available properties which is different from how most turnkey real estate companies operate. Prime Properties offers single family homes that have an average sales price of $150,000. They provide in house property management services and the fees vary per property. ROI also varies. They provide a breakdown of costs and expected revenue for each property, including management fees and even an anticipated mortgage rate. If you want to purchase a single family homes in Texas, it’s worth checking this company out. They have a division that’s dedicated to renovating homes so they can complete the renovations on time and on budget, passing the savings onto the investor. Bric Group offers condos, townhomes and single family homes with tenants and management in place. Their management fees vary and you need to contact them to find out the specifics. Their properties start at $102,000 and many of their properties come with a 2-year tenant guarantee and 2 years of prepaid property management fees. They invest in markets that are seeing job growth and high tourism rates. Bric Group focuses exclusively in three areas of Florida, Orlando, Jacksonville and Tampa, so they’re right for investors who want to be in that market. Something that sets them apart is that they offer an appliance replacement guarantee for 1-year. They’re also tailored to overseas investors and offer currency exchange programs, as well as green card services. 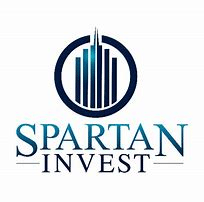 Spartan Invest is a small turnkey company dialing in on one market that has recently seen an influx of residents and job growth. Their properties are single family homes. They have a network of insurance agents, lenders and title companies. They aim to please the investor and offer a 1 year money back guarantee, with more details on their site. They’re right for an investor who wants to purchase a turnkey property in the Birmingham, Alabama area. The company only operates in 1 market so is a specialist in the area and the real estate there. Turnkey real estate companies offer real estate investors move in ready properties with tenants and management already in place. These turnkey properties are ideal for long term, buy and hold investments and are right for investors who don’t want to deal with the responsibilities of being a landlord. They also allow you to invest outside of your own geographical location. If you want to buy a turnkey property, consider using Roofstock. They provide the research, analytics, and insights to evaluate and purchase independently certified single family homes. They’re a nationwide company that sells properties that are already generating cash flow.